The law firm of Hurst & Hurst Law represents only those clients with legitimate Workers’ Compensation claims. Our attorneys can help you navigate through the difficult process of dealing with complicated regulations and requirements for filing a Workers’ Compensation claim. The Kentucky Workers’ Compensation Act provides benefits to employees who have been injured in job-related accidents or who have contracted diseases due to workplace exposure. The Kentucky Workers’ Compensation Act provides medical and income benefits, and in some cases vocational retraining, to people who have suffered work-related injuries and certain occupational diseases. An employer has to pay medical expenses that are “reasonable and necessary” for the “cure and relief” of “work-related” injuries. Many benefit claims are resolved through settlement negotiations. However, if a compromise cannot be reached, an injured worker has a right to seek justice through the court system. What Should You Do If You Have Been Hurt At Work? Any injury you suffer due to your job should be reported to your employer, so they can open a Workers’ Compensation claim. There is a two (2) year Statute of Limitations, which is the time period to bring a Workers’ Compensation claim after the date the injury occurred or the last payment of Workers’ Compensation benefit. If you have questions or concerns you should contact a workers’ compensation attorney. The attorneys at Hurst & Hurst Law provide legal resources to people with questions about Workers’ Compensation, work-place injuries and occupational diseases in Kentucky. A large portion of Rebecca Hurst’s practice is devoted to helping people with their Workers’ Compensation claims. 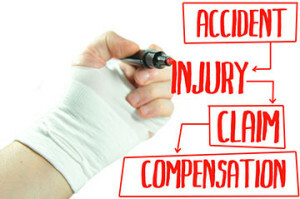 If you would like to learn more please check out our legal blog on Workers’ Compensation. If you have been injured in a workplace accident, it is important to have a lawyer review your claim in order to certify that you are being treated fairly. If you believe you have a Workers’ Compensation claim, contact Hurst & Hurst Law today to get help with your case at (859) 209-2101.